We invite you to come join us at the Taj Mahal, where we pride ourselves in giving you and your family the complete dining experience. Our menu items are all made to order. You are sure to enjoy a meal that is spiced to your liking, whether you like it hot, mild or absent of spice entirely. All of our entrees are free of gluten, wheat, eggs, MSG, and peanuts. If you have any questions about ingredients, preparation or in general let us know upon your arrival. We at Taj Mahal want you to have a unique and special dinner. Our menu items are all made to order. 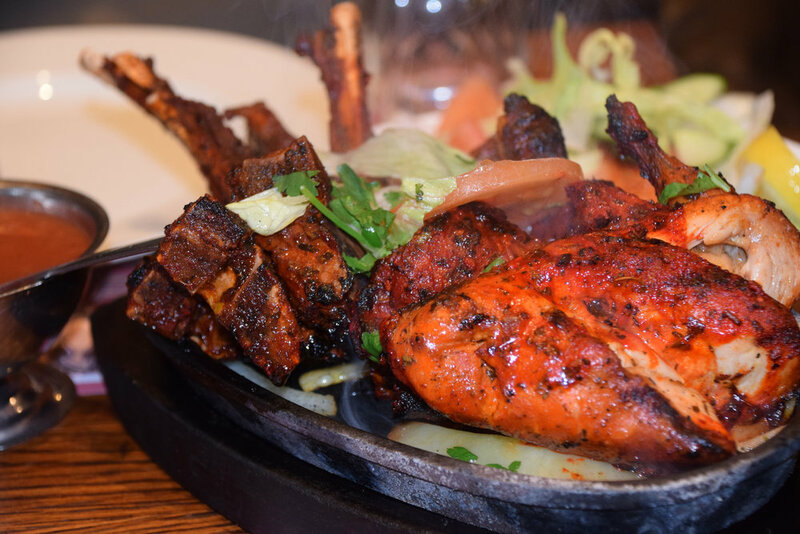 You are sure to enjoy a meal that is spiced to your liking, whether you like it hot, mild or absent of spice entirely. We have a beautiful lounge where you and your friends can sip on your favorite cocktails, glass of wine or an Indian Lager. Our ‘Happy Hour’ is 3pm-6pm providing specialty prices on wells, drafts, margaritas and martinis. We offer daily drink specials and always can create a tasty beverage for you from our unique Exotic Cocktail menu. Every Friday and Saturday, join us in the lounge for live entertainment. Along with our lounge and our beautifully spacious dining room, we also offer outside seating in either our upper or lower patios. Often the sounds of our live outdoor entertainment can be heard drifting up Montezuma from our patio location. You can enjoy our full menu outside while you relax in the beautiful Prescott weather. We welcome you to join us and encourage you to bring Fido along as our patios are pet friendly. It will be our honor to have you as our guest! Any questions or feedback please feel free to email us. We are here to serve you and want to continue to be your restaurant of choice. Thank you for supporting the Taj Mahal! the Scottsdale location, only "Thali" combo platters.